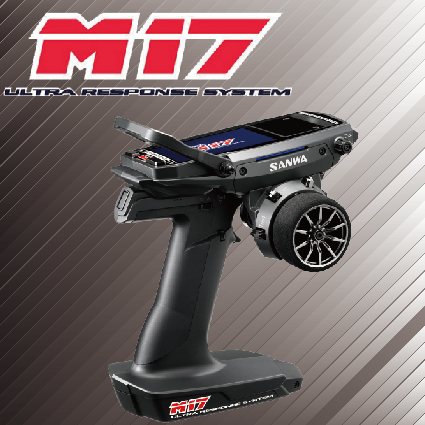 The Sanwa MX-V works with the Sanwa F.H.S.S.-2 2.4GHz technology. This guarantees interference-free R/C car fun and a fast transmission of the signal. The decisive point when it comes to overtaking or braking in competition. A nameable 10 model memory allows an easy and quick change between your models. In addition, the Sanwa MX-V is compatible with different receivers. 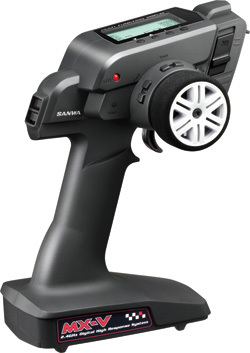 It can be operated with the Sanwa RX-37E, RX-371 and RX-442FS. The complete setup works via the multi-functional display. No matter, if anti-lock braking system setup, model selection or Expo adjustment - no problem with the large and clear display.